When you have Medicare coverage and suffer from a mental health condition there may be times where it seems like there is nothing you can do. There are specific things that are and are not covered by Medicare in relation to mental health coverage and you must know the difference in order to be covered. In addition to certain types of treatments being covered, there are also specific times when certain types of providers are covered. Medicare assists with providing coverage to you when you visit psychiatrists, clinical psychologists, clinical social workers, clinical nurse specialists, nurse practitioners, and physician’s assistants. Even if the professional you want to see is one of these that are listed, you should still call ahead to the provider to make sure that they accept Medicare assignments before going in for treatment. Doctors and other medical professionals are freely open with this information if you call and ask as they want patients, but even more, patients who will pay. If you have the Medicare coverage to cover mental health evaluations you should contact a medical professional right away and see if they cover the type of treatment that you need. What are the Medicare Benefits for Mental Health Care? Mental health care has become more accepted and widely recognized as a problem for the senior population across the country. People realize that this has become a real problem and that is why Medicare benefits are being changed on a regular basis to support mental health care. So what can you or your loved one count on from Medicare benefits when mental health care comes in to play? Medicare Part A will help to cover the mental health care that must take place in a hospital in order to address the situation. Your room, meals, supplies, nursing care and other related services will be covered under this policy. Medicare Part B will cover the types of mental health coverage that you would need to take place outside of a hospital. Visits to psychologists or social workers are a part of this coverage as well are lab tests and other tests ordered by your doctors. There are times that you will be prescribed certain drugs by your doctor or medical professional to help with your mental health condition. When this happens the coverage will provided under your Medicare Part D coverage. What is the Uniformed Services retiree program? 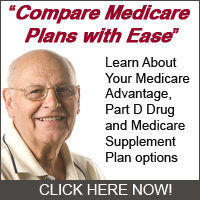 What Are Your Options if You Have Medicare? When you become eligible for Medicare at age 65 or because of a disability, you will automatically receive original Medicare benefits. Something you may not realize is that depending upon the state you live in, you may be entitled to two other choices. These choices provide more coverage for issues that original, basic Medicare does not cover.